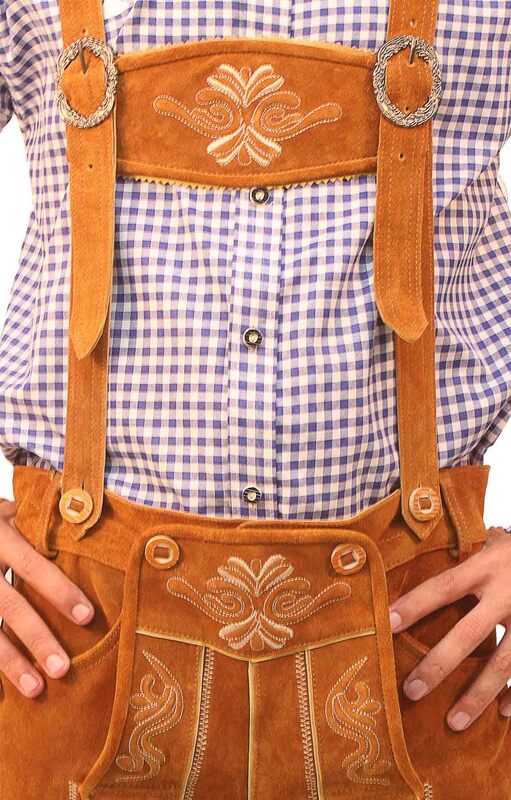 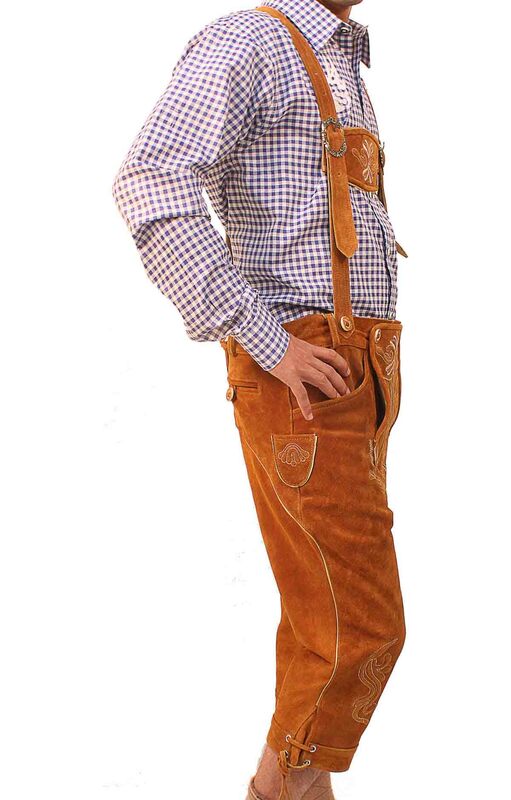 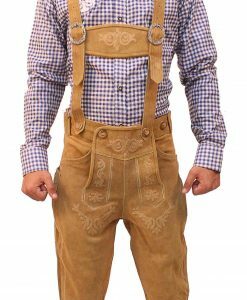 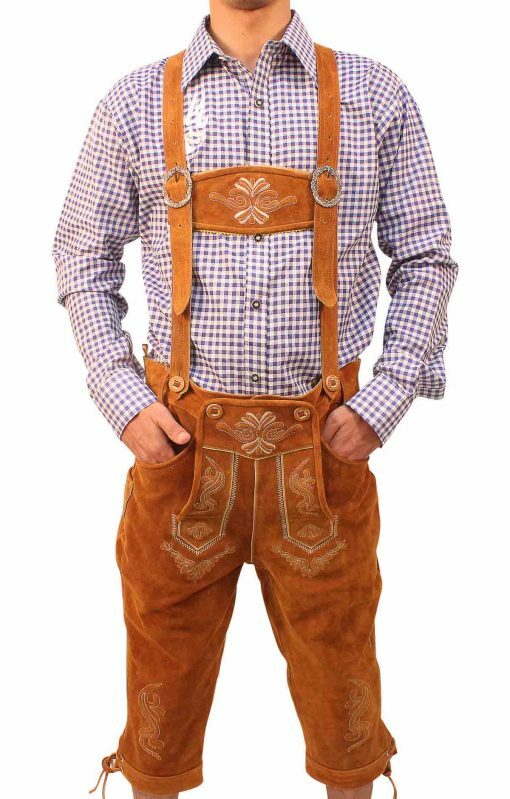 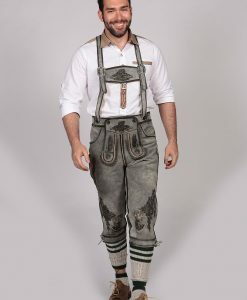 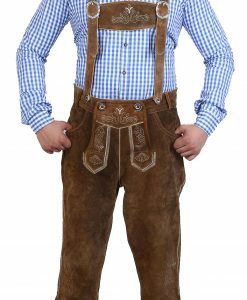 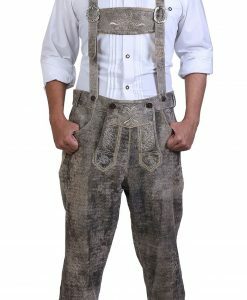 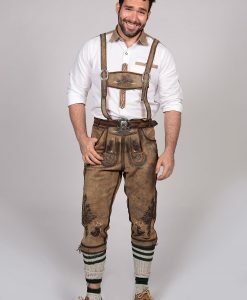 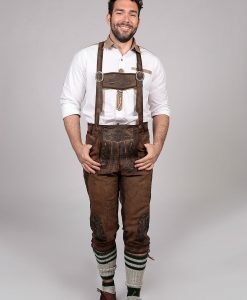 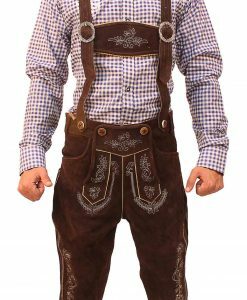 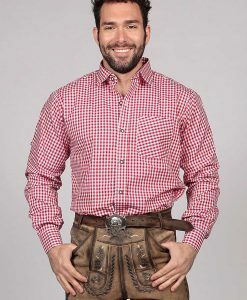 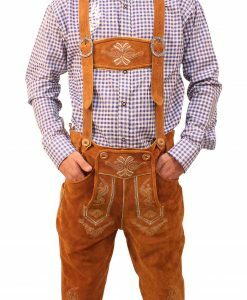 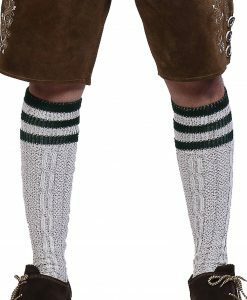 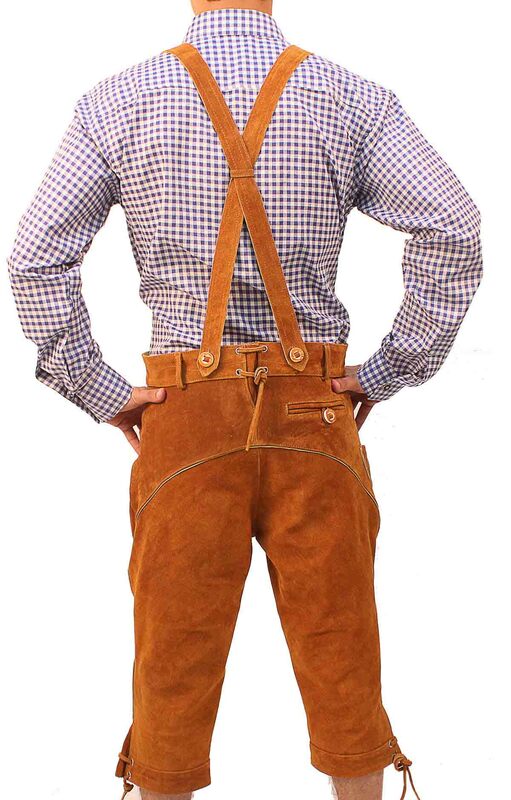 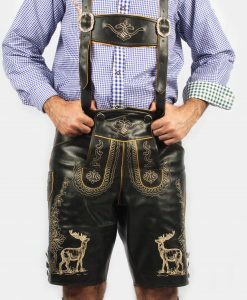 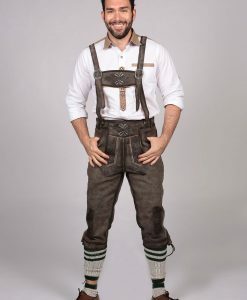 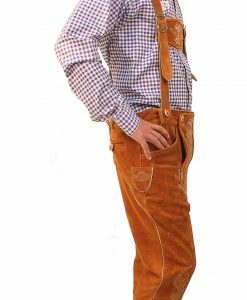 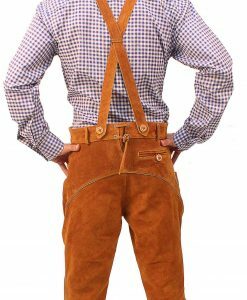 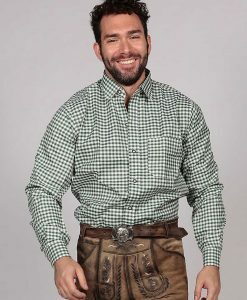 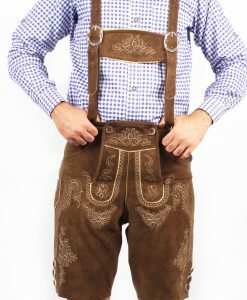 A Bavarian lederhosen made for labors who used to do hard physical work. 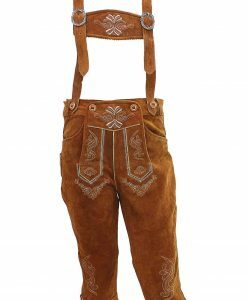 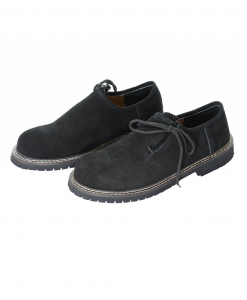 This Bundhosen is made of fine suede leather that has a beautiful shade, perfect for any occasion even after Oktoberfest! 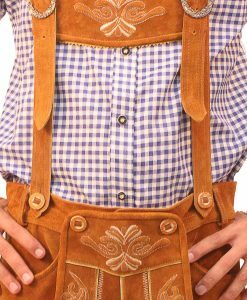 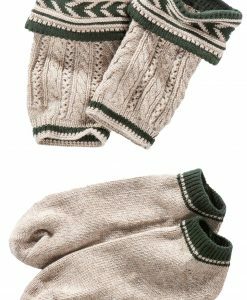 Includes suspenders and buckles, to adjust your size. 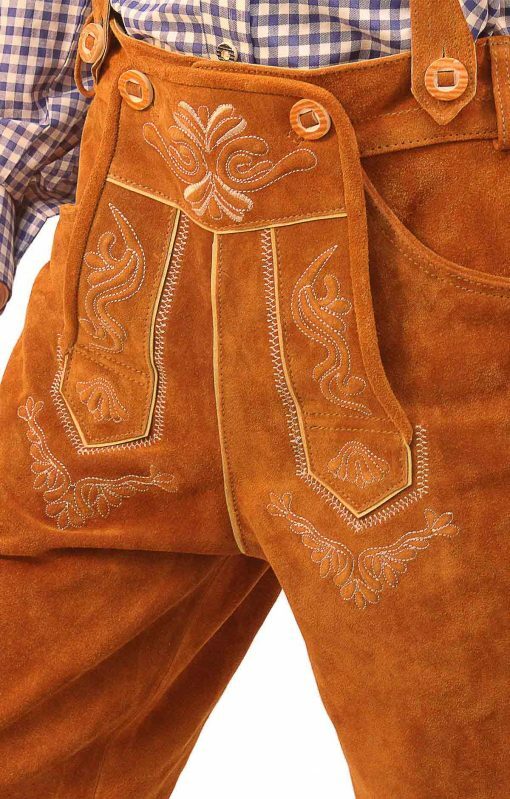 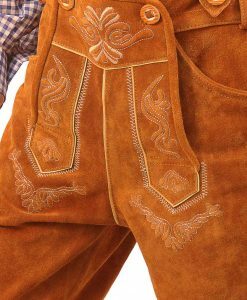 The lederhosen has a mild yellow embroidery that catches the eye. 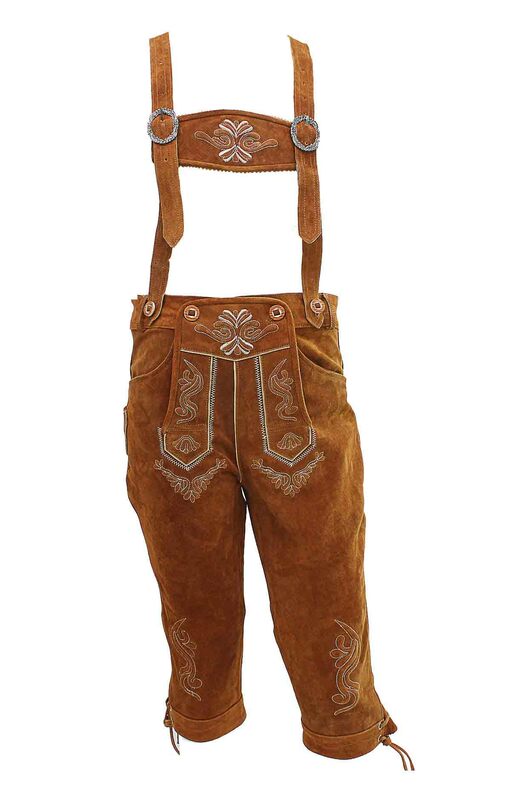 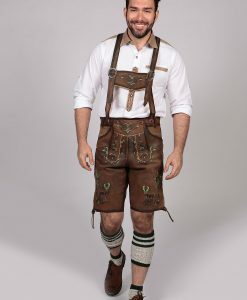 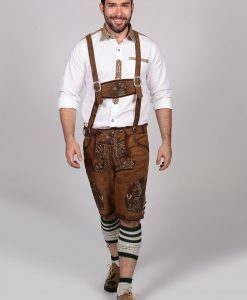 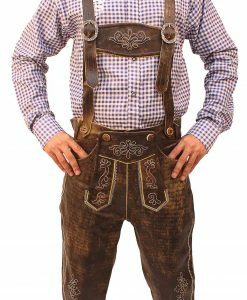 It has a mid-length that makes it a leather trousers worn for Oktoberfest and other occasions. 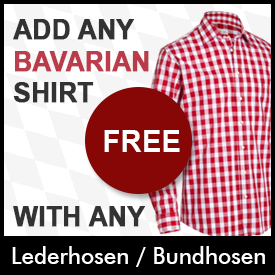 Includes a fine trachten shirt with an admiral blue check pattern. 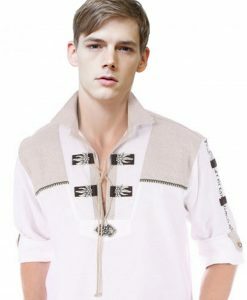 Best cotton shirts for the heat and to stand out as the neatest in the crowd!